"Danger, Will Robinson; danger, Will Robinson!" You look down at your camera and see Err 01 on the LCD. What does that mean? Why isn't it taking pictures? Thanks to Rudy Winston over at the Canon Digital Learning Center, you can now have some clue as to what is going on. 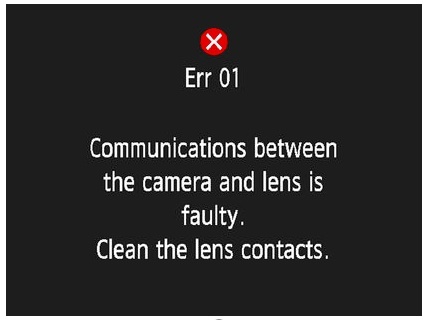 His article, Canon EOS Error Messages: An explanation and understanding, provides lots of insights about activity under the hood, and what many of those error messages actually mean. If you shoot Canon, you'll definitely want to store this article on your mobile device.